This is a video channel with a series of short clips made for children and young people who are attending hospital for tests, appointments and surgeries in order to talk them through the process and what they are likely to encounter and experience. The videos are separated into different age categories: 0-6 years, 7-12 years, and 13 years and over. The videos could be recommended to a child, young person, or parent by a healthcare professional before a procedure in order to prepare them and reduce their anxiety around a hospital visit. 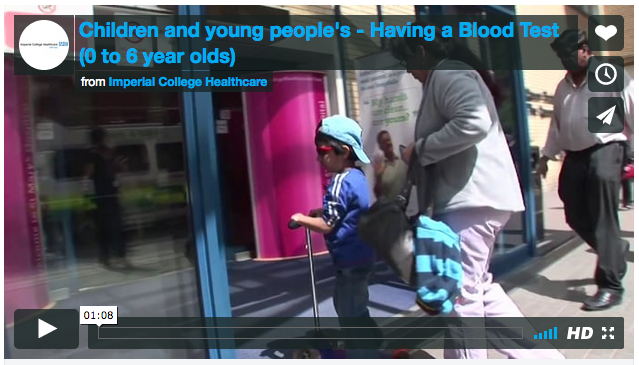 The videos were created and published by Imperial College Healthcare NHS Trust.